Amazon isn't exactly impartial when it comes to tablets... you may have heard about this little thing called the Kindle Fire. But they aren't ones to let competition get in the way of a little profit, which is why the latest update to their storefront app includes compatibility with a plethora of new Android tablets, including the coveted Nexus 10. Previously it was limited to Android 4.1 tablets with very specific resolutions. Android's tablet-optimized app selection being what it is, we're always excited to see a useful new app get revamped for bigger screens. 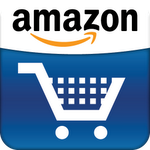 It's true that a separate app package isn't technically necessary for transitioning to a great tablet layout, but Amazon has taken a step in the right direction, having just released Amazon Mobile for tablets to the Play Store. If you've used the regular Amazon Mobile app, you know what you're getting with Amazon Mobile for tablets.